The Spider King Debuts This February! In the year 956 AD an unlikely group of Viking warriors in northern Europe face an even more unlikely adversary in the form of… Aliens! The debut graphic novel from Australian author Josh Vann and Italian illustrator Simone D’Armini, The Spider King, introduces a vicious and violent world of survival to an extra terrestrial threat unlike any mankind has faced before. Originally self-published in 2016 and funded with Kickstarter, The Spider King will make its serialized debut this February as IDW will release the international hit to a whole new audience. Garnering early praise upon its release, The Spider King was nominated for Best Graphic Novel at the 2016 Aurealis Awards and went on to win Bronze at the 2016 Ledgers, which acknowledges excellence in Australian comic art and publishing. Joining Vann and D’Armini are colorist Adrian Bloch and letterer Nic J. Shaw. Launching in February the four issue series will feature an impressive array of variant covers including Skottie Young, Afu Chan, and Jakub Rebelka. 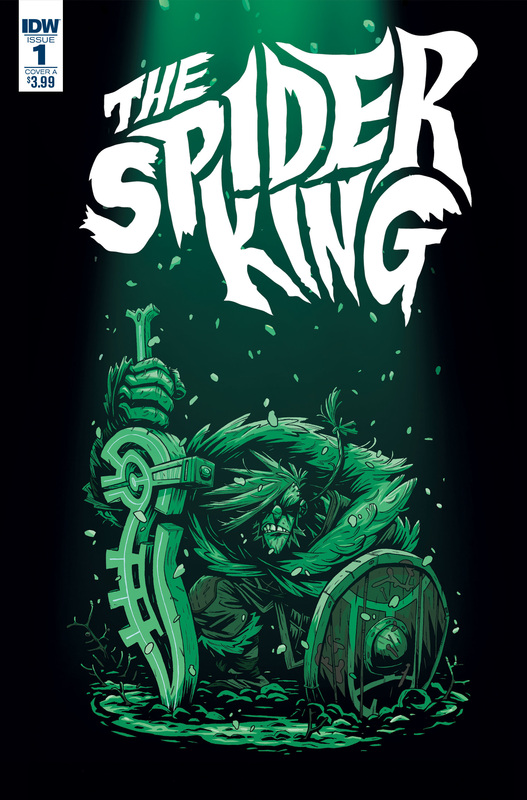 The Spider King is available for pre-order now through your local comic shop.